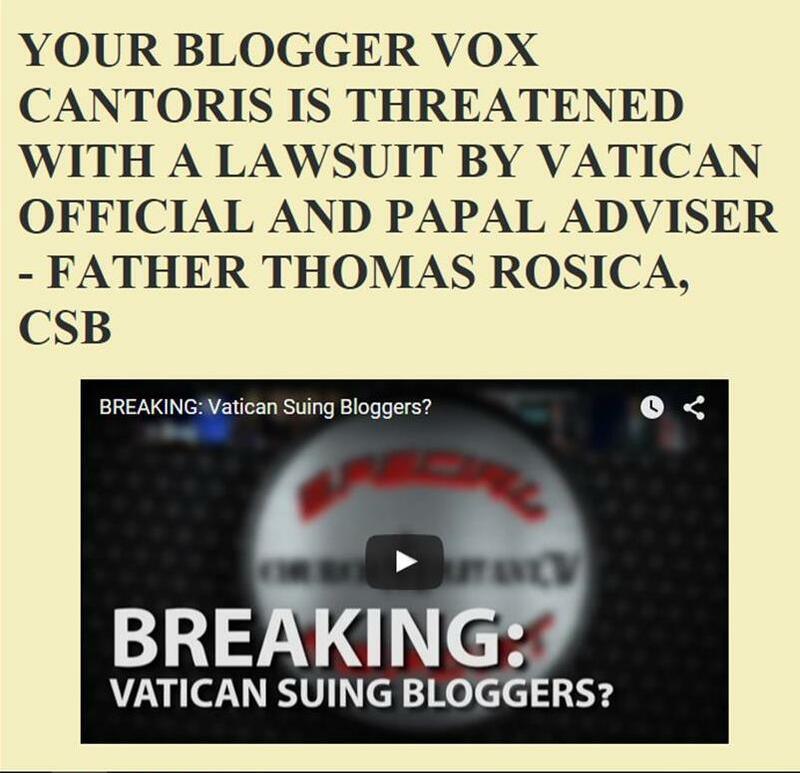 Vox Cantoris: Pope to focus on "fake news"
Pope to focus on "fake news"
In the latest from the bizarre papacy of Jorge Bergoglio, the man thrust upon the Chair of Peter by a modernist clerical mafia, he has decided to focus on "fake news" for World Communications Day 2018. Using the scriptural verse of Our Lord, "the truth will set you free," (John 8:32), Bergoglio heaps insult upon Our Lord Jesus Christ -- it is actually the holy feast of His Ascension into heaven. As the article below notes, it was the Second Vatican Council that determined that the Church should mark such a day in "Inter Mirifica" of 1963. Another reason to take that rotten Council and declare it anathema. Once again, we see how the Church has lost its way and how under this Bergoglio, it has only increased. It is to preach Our Lord Jesus Christ and Him crucified and risen and ascended and reigning. It is to preach that all must come to Him and His Church to be saved. It is to call us out from sins and instead, with the likes of this Bergoglio, Cupich, Kasper and the rest of their ilk, they leave people to wallow where they are. These clericalists associated with the Pontifical Council on Social Communications are the real "fake news." These peronist/fascists will go so far as to try to put Catholics who blog under some form of ecclesial interdiction. Well, they won't stop this writer, try as they have. Meanwhile, Monsignor Elevator Boy Ricca, Monsignor Cocaine Capozzi and Monsignor ChildPornMasturbator Capella and Don Mercedes are protected and enjoying the riches of Rome. (Vatican Radio) Pope Francis will focus on the harmful effects of fake news against journalism for peace, in his message for peace for World Communications Day next year. ““The truth will set you free” (Jn 8:32). Fake news and journalism for peace,” is the theme of the annual Catholic Church observance that the Pope announced with a post on Twitter(@Pontifex) on Friday. What a embarrassing idiot he is! Absolutely! 'Go ahead and excommunicate ALL of us that follow the Lord Jesus in His TRUE CHURCH!!' SEE IF IT STOPS US! Oh and btw......what is THIS news I see in the Catholic Herald? Fake? Real? Amoris Laetitia is the biggest fake news of them all. Every breath Bergoglio takes insults decency. They look for every opportunity to poke us in the eye. World Communications Day? Hm, how to poke em in the eye on this...well...how about focus on fake news?. It's all so predictable. What kind of cornball Catholics are even vaguely interested. But I thought he only reads one newspaper? The one his friend Scalfari works for. How about Jorge addressing Fake Catholicism? Fat chance. Keep your eyes peeled come this January 24th, then. Hopefully another distraction won't come out around that time.